Millions of people worry that smoking marijuana is affecting their health, marriages, relationships, and careers. We desperately want to quit, but fear of withdrawals, boredom, lifestyle changes, and failure keep us from taking action. 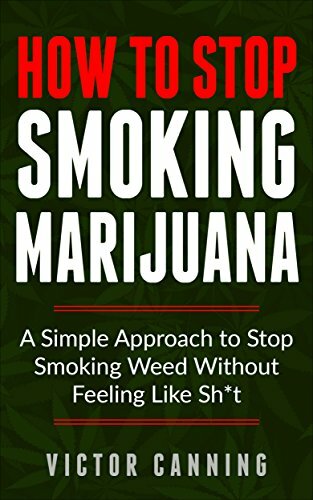 This book asks you to forget everything you’ve heard, everything you’ve read, and everything you’ve been told about how difficult it is to quit smoking pot. All your past failures, all your past attempts to stop smoking, put them aside; you only failed because you didn’t have the right solution. This book gives you that solution. How To Stop Smoking Marijuana is an innovative step-by-step process, backed by science, that allows you to stop smoking weed forever. It exposes the myth that quitting has to be difficult, painful, time consuming, or impossible. By explaining why you feel the need to smoke marijuana, it outlines a simple process that doesn’t require willpower and removes the desire to smoke weed forever. The process allows you to stop smoking marijuana easily, immediately, painlessly, and permanently. This book, without scare tactics, pain or rules, give you permanent freedom from marijuana. I hope you read this book. It truly is the only book you’ll need to stop smoking marijuana.